The best thing to create luxury photos for glamourous weddings is to focus on lighting. Lighting is what makes photos what they are and we want our subjects to be enhanced by the available light. If you look at the classic portraits of old where master painters and portrait artists would set up a scene to create an image of an important figure which would take them weeks or months to do, they only had one chance to get it right so they created scenes where lighting was perfect. Whether Rembrandt, rim, back, front or side lighting is used we take all of these techniques to create moving images of the bride, groom and the party attending their big day. This photojournalistic approach allows us to capture real moments and emotions while also creating stunning, artistic and classic wedding portraits. The Four Seasons Hotel in Vancouver is one of 2 5 start resorts in downtown Vancouver and as such the pictures that come from a client interested in only the best should also reflect picture perfection. The hotel can host up to 600 guests in the large Grand Ballroom. The wedding day can be split into different sections using the third floor foyer and the Wine Room, the Inlet and the Communal Table. It also has distinct Chinese kitchen and a Kosher kitchen to cater to different cultures and traditions such as it has made an effort to host Jewish weddings at the Four Seasons. Smaller rooms for smaller events such as the Salon Montague, Okanagan Room, Oak Room, and Aspen Room can also be used to host more intimate guest lists. 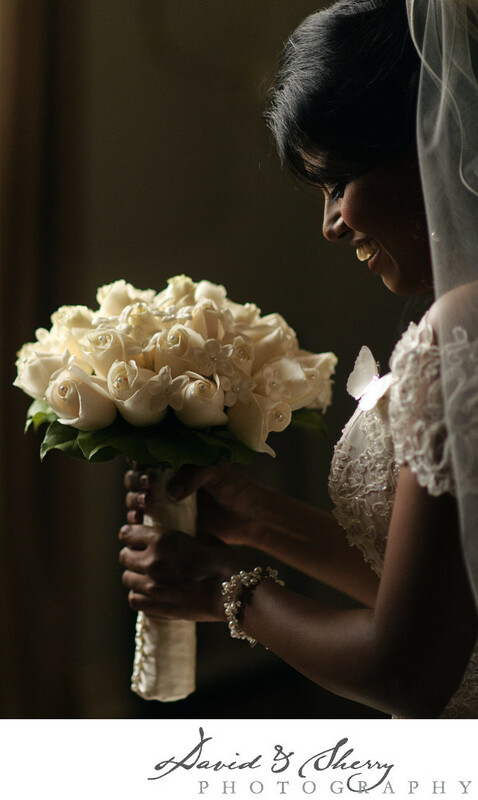 The top notch hotel suites with large windows allow for perfect lighting as it did in this portrait of the bride holding her bouquet as she was ready to walk down the aisle. Location: CF Pacific Centre, 791 W Georgia St, Vancouver, BC V6C 2T4.